Columbus Dental Care Is a Family, Cosmetic & General Dentistry Practice Serving the Greater Hudson and Nashua NH Areas and Massachusetts Border Communities. Welcome to Columbus Dental Care, where better smiles begin. 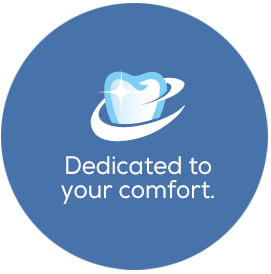 We are dedicated to providing you with a lifetime of excellent dental health. Your smile opens doors, closes deals, warms hearts, and says so much about you. To keep your smile looking its best, Dr. Joseph Columbus, and the entire caring team at Columbus Dental Care, provide the highest-quality dental services. We combine years of expertise, state-of-the-art materials and equipment, a relaxing environment – and a lot of little extras – to give you the same comfort and peace of mind that keeps all of our patients coming back. Get the beautiful healthy smile you deserve at Columbus Dental Care. Better smiles begin here!